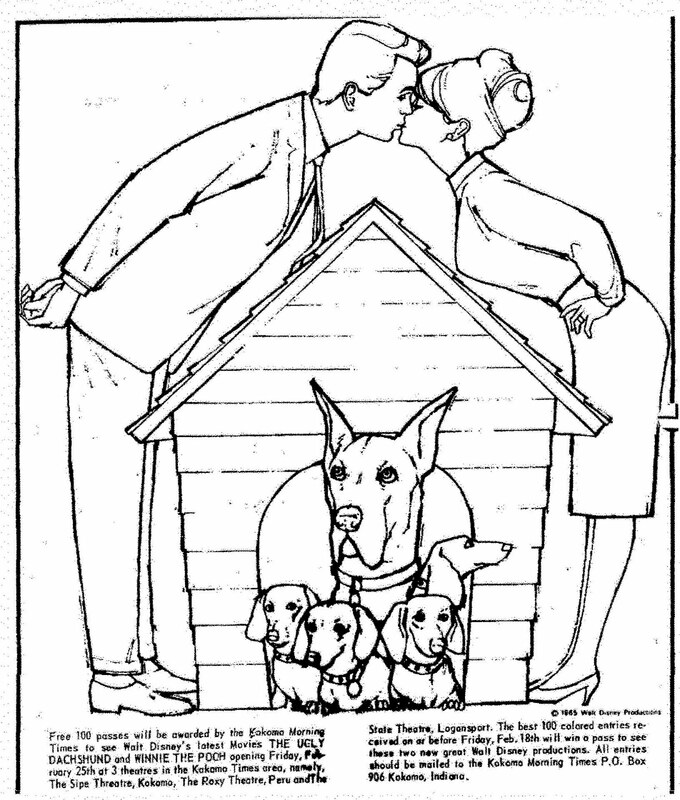 This Indiana newspaper coloring contest for THE UGLY DACHSHUND gave away 100 passes to see the movie to the 100 best colored entries. THE UGLY DACHSHUND starred Dean Jones, Suzanne Pleshette, a gentle Great Dane and some naughty Dachshunds. It was released by Disney in 1966. 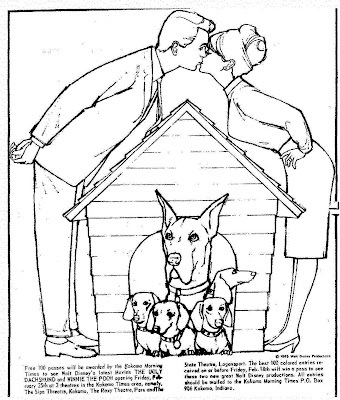 This contest appeared in newspapers in February of 1966.